April 19, 2016  When James McBride, a National Book Award winner for his fiction, decided to write an entire book about James Brown, he wanted to push beyond the hype and racism he says haunts Brown's legacy. 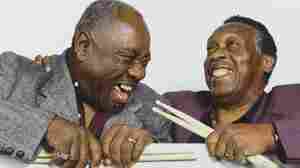 January 5, 2015  Clyde Stubblefield and Jabo Starks should have been rivals: James Brown hired both of them to do one job. Instead, they stuck together, and laid the foundation for modern funk drumming in the process. October 24, 2014  The new HBO documentary Mr. Dynamite: The Rise of James Brown traces the singer's career through the words of writers, musicians and former employees. March 7, 2012  The eclectic performer's show Ghetto Klown features the music he grew up with, from Hector Lavoe to Kool Moe Dee. 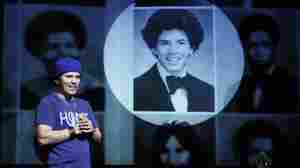 Leguizamo shares his favorite songs and thoughts about being Latino in Hollywood today. October 16, 2008  It should come as no surprise that James Brown has inspired countless tributes and covers, both good and bad. Explore five of the most unusual and exceptional examples, from inspired tributes to psychedelic reinventions. 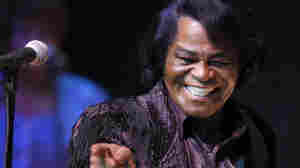 July 10, 2008  The estate of the late "Godfather of Soul" says Corbis Corp. violated James Brown's right of publicity by selling photos of him. Corbis has asked the Illinois Legislature to pass a law to protect its business of selling celebrity photos. 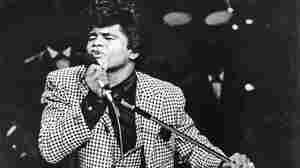 December 25, 2007  On the first anniversary of the death of soul singer James Brown, we learn about a recent unprecedented memorial celebration called Function at Princeton Junction. 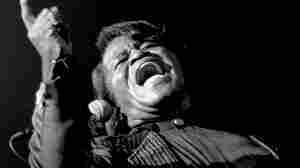 This scholarly gathering of writers, musicians, and critics took a look at and a listen to the music of James Brown. Music critic Robert Christgau was part of the conference and has these thoughts on the Godfather of Soul. February 2, 2005  James Brown is also known as the Godfather of Soul and the Hardest Working Man in Show Business, among other titles. 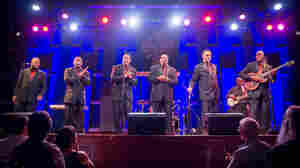 The 71-year-old singer is still touring, despite having prostate surgery in December. 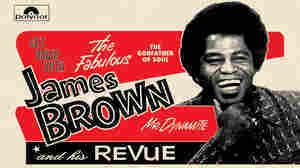 He's written a new memoir, James Brown: I Feel Good. October 5, 2004  Tom Terrell has a review of Soul on Top, a re-release of a James Brown recording from 1970. 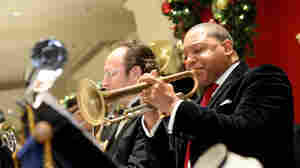 On it, Brown sings jazz tunes such as "September Song" and "What kind of Fool am I?"